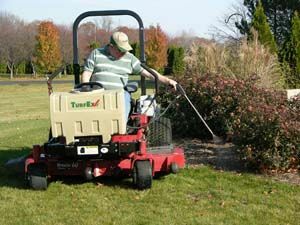 It can also be customized with either a front-mounted boom or the boomless spray head with a single nozzle to spray up to a 15-foot wide pattern. 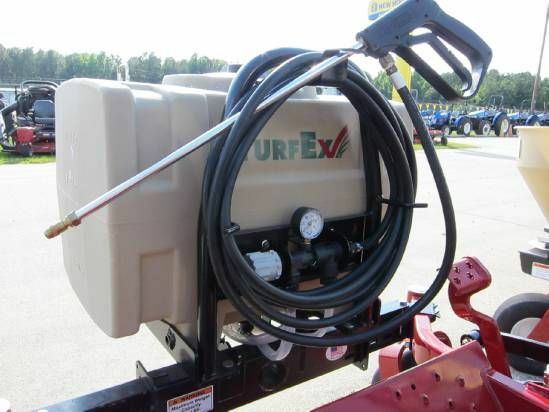 The TurfEx US250 Sprayer features a universal mount that allows it to attach to the front of most available ZTR mowers. 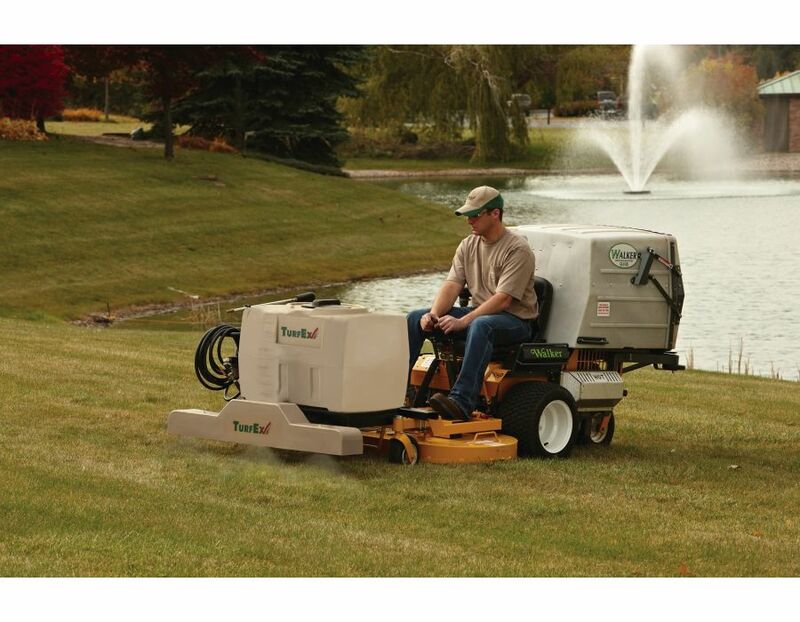 The unique mounting system stays within the mower's footprint and is completely electric powered meaning there are no engines or hydraulics to maintain. 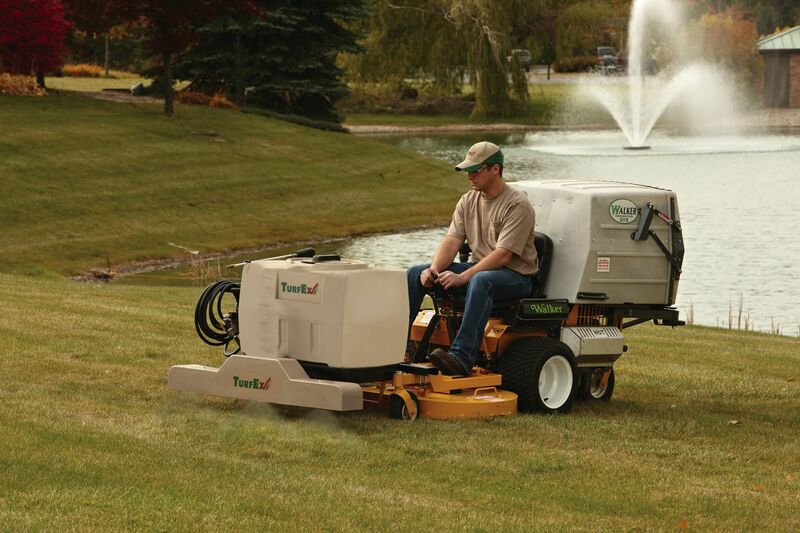 Driven by a 12volt electric motor, the sprayer draws its power from the mowers battery. 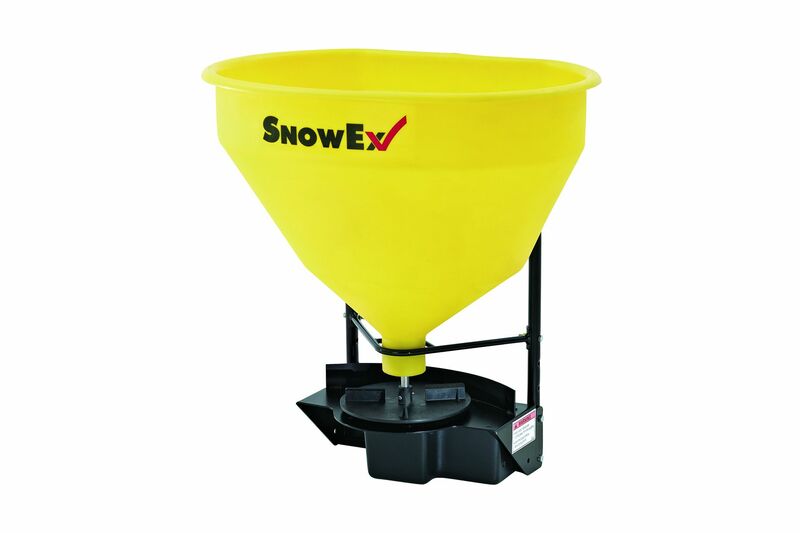 The pump is rated at 2 gallons per minute at 60psi. 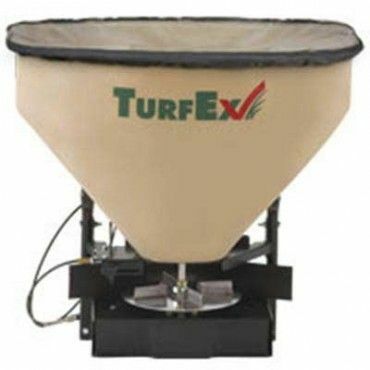 Corrosion-resistant polyethylene tank holds up to 25 gallons. On/Off switch speed controller. 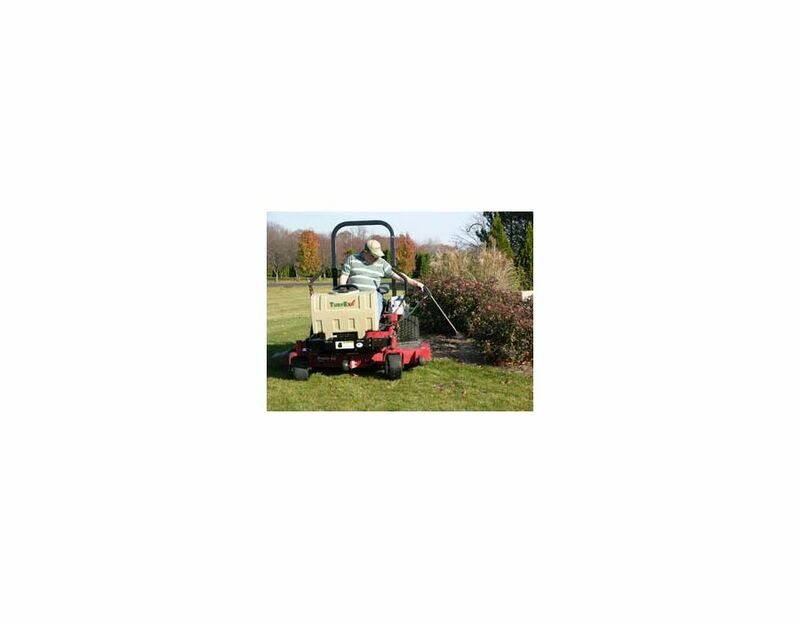 An adjustable spray wand attached to a 25' hose makes this unit ideal for many turf care applications including weed spraying, tree and flower watering and pest control. 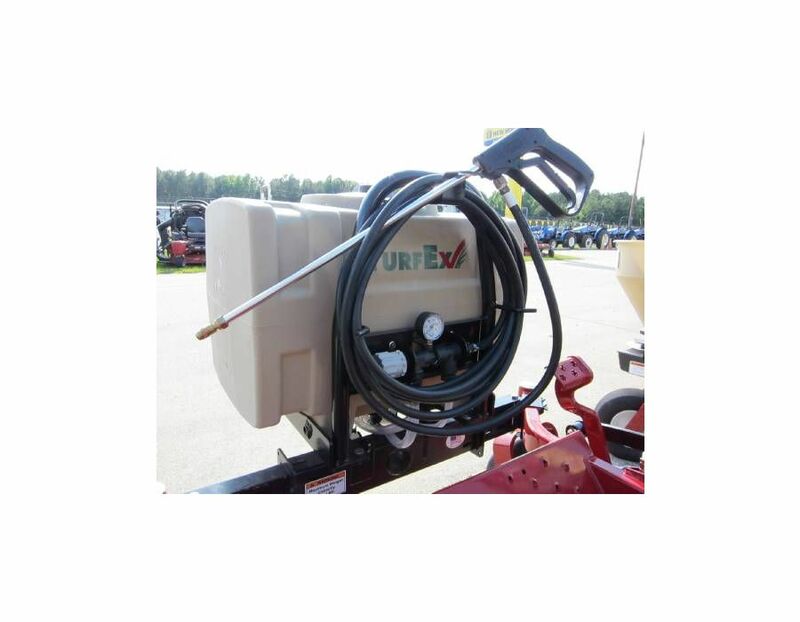 *Also available with an optional 48" front mounted boom for spraying directly onto the ground. 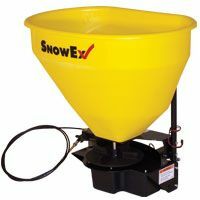 Boomless spray head is also available, which uses a single nozzle to spray liquid up to a 15' wide pattern. *A ZTR-300 Series Mounting Kit is required. 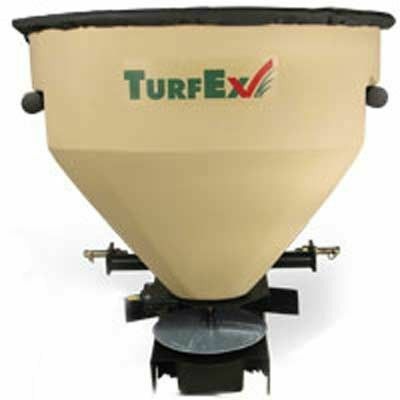 Find the TurfEx US250 Zero Turn Sprayer Attachment at Kooy Brothers Equipment Ltd. located at 1919 Wilson Avenue in Toronto Ontario. *Price is subject to change without noitice. Errors and omissions exempted.